Vikram Seth’s poetry is exquisite. Always was and is. Years ago I recall my mother being handed a copy of The Golden Gate by a friend, a journalist, who had interviewed Seth. Mum received an autographed copy of a paperback edition. It had a boring blue cover with a photograph of the Golden Gate but the excitement about reading a novel in verse by an Indian was far greater than nitpicking about the ordinary production quality of the book. It was the nineteen eighties when Indians were barely recognised globally for writing original fiction and poetry in English. 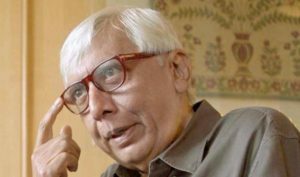 Literary discussions were still confined to the legacies of R. K. Narayan, Raja Rao and the emerging “St Stephens School of Writing” to which male writers such as Amitav Ghosh, Shashi Tharoor, Rukun Advani and Mukul Kesavan belonged. Arundhati Roy’s Booker success with her debut novel, The God of Small Things, was still a few years away. 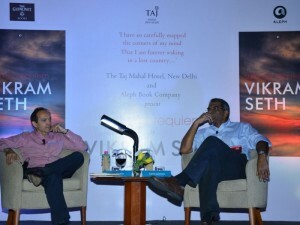 Since then Vikram Seth, his aforementioned contemporaries and a handful of others have been elevated to the literary elite of the subcontinent and for good reason too — their creative ingenuity in making literature that is a pure delight to immerse oneself in for its craft and its gravitas. Vikram Seth’s new collection of poetry Summer Requiem validates his status as being a well-deserved member of this exclusive club of writers. In this slim offering of poems published by Aleph Books Vikram Seth experiments with the poetic form. Try scanning the lines and you will be constantly surprised by what you glean. From the traditional form to blank verse of the title poem to translations of poems to creating an extraordinary sonnet in No Further War. The latter poem is not only technically sound but is absorbing to read for its devastating critique of modern day politicians who create mayhem with war, destroying Nature and the beauty of earth, leaving artists a wasteland. In this collection of poems Vikram Seth touches upon a range of issues — commentary, reflecting upon his own body of work including working on a novel ( a reference perhaps to the work-in-progress A Suitable Girl? ), engaging in literary criticism such as discussing the importance of translations and discovering new writers. Coincidentally when I was reading Summer Requiem I had T. S. Eliot reciting The Wasteland in the background. ( Here is the link: http://www.openculture.com/2009/11/ts_eliot_reads_the_wasteland.html ) . It is a powerful experience. Two poets, writing decades apart, commenting on the deeply disturbing man-made catastrophes. A couple of toxic madmen sting mankind. (Vikram Seth “No Further War”) . With the permission of Aleph Book Company, I am reproducing some lines of poetry from Vikram Seth’s new collection Summer Requiem. The liberated generation lives a restrained youth. Memory is a poison; it has sickened my body. The cleavage of attachment has frayed my mind. Abstractions have their place, the concrete too. A word of his by eye, know him by soul. I wouldn’t be here, we’re it not for him. Child of my youth, my first wild fictive fling. Apart from being a well-known publisher, David Davidar is also a novelist, editor and anthologist. 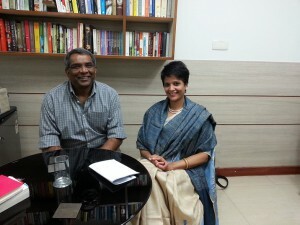 He has been an attentive reader of Indian fiction from the time he was a teenager. His latest anthology, A Clutch of Indian Masterpieces, has 39 short stories from across Indian fiction selected by Davidar. From Khushwant Singh, Munshi Premchand, Chugtai and Vaikom Muhammed Basheer and Ruskin Bond to new voices like Shahnaz Bashir and Kanishk Tharoor, the volume covers a spectrum of Indian fiction. In this interview, Davidar talks about the short story and the making of the anthology. R. K. Narayan, one of the world’s greatest writers, tells an amusing story about creative writing in general and the short story in particular. He writes: Once I was present at a lecture on creative writing. The lecturer began with: “All writing may be divided into two groups—good writing and bad writing. Good books come out of good writing while bad writing produces failures.” When touching on the subject of the short story, the lecturer said: “A short story must be short and have a story.” At this point I left unobtrusively, sympathizing with the man’s predicament. The story is amusing but when you come down to it, the short story is devilishly difficult to define if you exclude length as a criterion. Dictionary definitions are banal in the extreme. Here is one example: “A story with a fully developed theme but significantly shorter and less elaborate than a novel.” A creative writing class instructor may say your story would need to have the following elements — exposition (the setting up of the story, its backdrop, main characters etc. ), conflict, plot, theme, climax and so on. If s/he was of a Chekhovian bent of mind, s/he might tell you to write a ‘slice of life’ story that was relatively loosely constructed when compared to tightly plotted stories that hinged on events and turning points. There are many other categories that short stories are classified under but I think one should never be too prescriptive or didactic. Great literary short stories should have an electrifying impact on the reader because of their complexity, mystery, layering, and special effects. And because they can usually be read at one sitting, their impact is different from that of a novel, which usually immerses the reader in a world which it has created. William Boyd, the British writer, provided one take on the form: “Short stories are snapshots of the human condition and of human nature, and when they work well, and work on us, we are given the rare chance to see in them more ‘than in real life’.” That’s as good a description as any. What was the principle of selection? I decided to pull this anthology together on the basis of a very simple premise: it would only include stories that I loved, stories that had made their mark on me in the 40 years or so that I had been attentively reading serious Indian literature. Like the Chekhov quote I’ve used as an epigraph to the book, the basic criterion for featuring stories in this book would be whether I liked them or not. I decided to leave out commercial fiction because there would then be no focus to the anthology. There would be no other exclusions. It wouldn’t matter to me whether the writer was Dalit or Brahmin, old master or 21st century star, Muslim, Hindu, Christian, Parsi or Sikh, man or woman, straight or gay, Tamil or Kashmiri, Punjabi or Malayali. Nor would it matter if the writers wrote in English or in any of the other Indian languages, whether they lived here and carried the blue passport with the Ashok Chakra, or plied their trade in foreign lands… no, the only thing that would influence the selection would be whether or not they were — in my subjective view — breathtakingly good Indian stories. What did I mean by Indian? Either the stories would have to be about India or they would have to be written by an Indian or someone of Indian origin. Necessarily, they would need to possess an ‘Indian sensibility’. Now, there are learned tomes on ‘the Indian sensibility’, a sensibility that is rooted in Indian culture, history, society, language, but that is not what I am trying to get at here. No, what I am trying to define is that elusive, ineffable quality to ‘serious’ poetry and prose that is unmistakably Indian. If you learn this quality from books, or by over-flying the subcontinent, all you will be able to produce is a variant of the Inspector Ghote mysteries — entertaining but shallowly-rooted writing and without any great insight into anything of consequence. I do not think an Indian sensibility is to be found only in writers who are Indian by nationality or domicile or language. Rather I think it is inherent to writers who were born here, or have lived here for enough time, for distinctive aspects of this country, this civilisation, to shape their view of the world, their creative consciousness, and their style. Their writing, whether about India or elsewhere, is informed by this ‘Indian sensibility’ — when their subject matter is India, they tend not to exoticise, but deepen our understanding of the country. Having figured out the basic qualifications any story would need to have in order to be included, I refined the criteria for selection. Every story that made the cut would need to be a proper short story. (Vikram Seth’s ‘The Elephant and the Tragopan’ is a short story, although it is told in verse.) This meant I wasn’t going to be able to include any extracts from novels, or works in progress. It was also important that none of the stories had dated, or appear quaint to today’s reader. And, finally, every story would need to work perfectly in English, as the anthology was aimed squarely at the reader in English. Other than these qualifications I wouldn’t be excluding any writer. Are you creating a canon of literature with this collection? I don’t think any single anthology can canonise a writer. Not that the majority of these writers need ‘canonising’; they are already among the greats of Indian literature. I am hoping that these stories will whet the appetite of readers to explore more of the work of these writers, and other Indian fiction writers. Do you think there is a “return” to the short story with technological developments? I don’t think so. We have always had accomplished literary short story writers and novelists and I’m delighted to see new stars working in both these areas. Why did you commission new translations of well-known stories that were already available in English? Does the flavour of translation change with every generation of readers? Two reasons. The first is because, as you point out, the great classics do deserve a new translation every generation (20 years) or so to make them work for contemporary readers. The second reason was because, to be honest, a number of the existing translations were appalling. I believe this anthology features some of our greatest ever translators. What do you like about a short story collection? In terms of anthologies that range across multiple genres and languages I like the fact that you are transported to different destinations with every story — the voices, subjects, the styles all change. It’s quite overwhelming, rather like taking a slow train through a variety of breath-taking landscapes. How was this anthology arranged? We decided to adopt the simplest possible arrangement, and ordered these stories according to the date of birth of the authors, because it was difficult to find the date of first publication of many of the stories, which would have been the other option. As a result of this arrangement, there were a number of unexpected and delightful pairings and juxtapositions — a mystery story from Bengal would be followed by a darkly comic story set in the cow belt, followed by a poignant story about a dog trapped in floods, followed by a ghost story, for example. The reader will be surprised and delighted at every turn I hope. Why do you call it a “clutch” of Indian masterpieces? No particular reason, except it sounded nice when you spoke the title out aloud. Also, it seemed an unusual and apposite collective noun for this particular bunch of stories. What were the stories you excluded? Stories that fell into four categories: Stories I didn’t like; great stories from Indian languages other than English that didn’t travel well into English; stories that were not literary; stories that I didn’t know about. 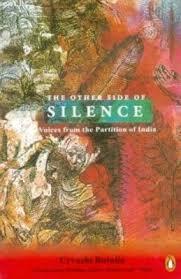 Given that Indian short stories have been written for over 100 years in 30 different languages (a lot more if you include the less ‘major’ languages and dialects), I think we should all agree that, no matter how well read we are, we are all ignorant to a greater or lesser degree about aspects of modern Indian literature. Many readers say short stories are ‘easy to read’? Do you agree? No, I don’t think so. Certainly, most of them can be read at one sitting, but to absorb and appreciate their richness, complexity and brilliance, it is incumbent on the reader to engage deeply and as fully as possible with them.